You are at:HomeUncategorizedFortune Socks: Are you a tucker or a tyer? Fortune Socks: Are you a tucker or a tyer? Honestly, fortune socks have nothing to do with whether or not you are a tucker or a tyer, except that they just won’t work if you are a tyer. When my husband and I first got married, HE WANTED ME TO BE A TYER. Does life get any worse than that? I thought I knew this man! 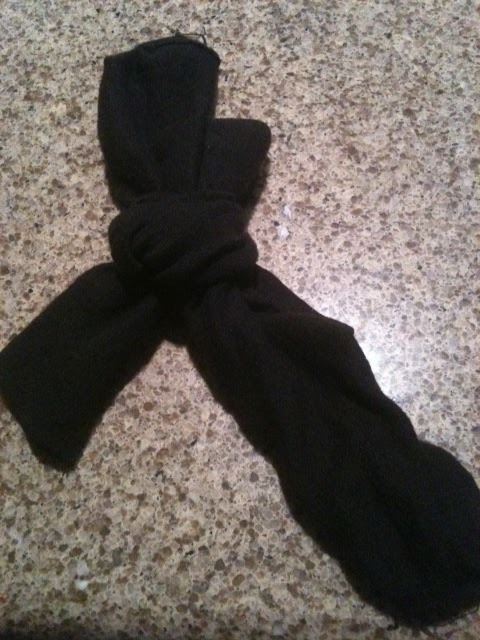 Who was this stranger suggesting that I change the way I fold the socks? I couldn’t imagine being a tyer. I had always been a tucker! My mother was a tucker! Her mother was a tucker and I’m sure her mother was a tucker! Generations of tuckers and he’s wanted me to be a TYER? The tyer just knots the poor things together. “Take that, socks!” is what every tyer probably says while doing laundry. Tying socks together is a bit too violent for me. Actually, there are two reasons I’m not a tyer. The first reason is that it takes more effort, it seems. The second reason is that it does not allow for the making of fortune socks. 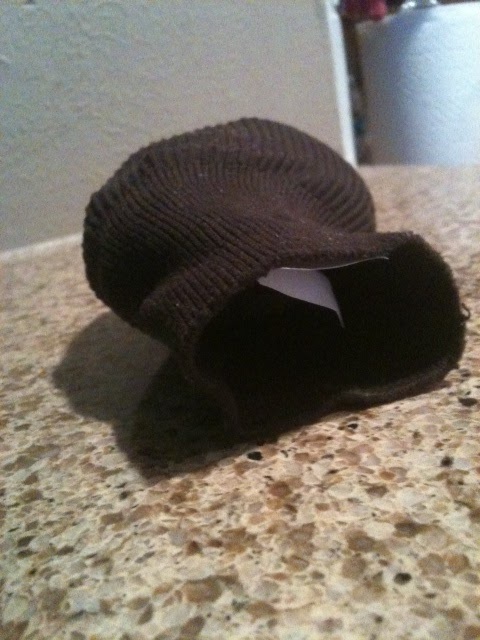 Fortune socks is something I just made up, but maybe will actually do for real in the future for my kids. Maybe. This morning I tried it out on my husband. He gave me lots of sideways glances when I put four fortune socks before him. See the little fortune inside? Once he took the slip of paper out, he started laughing and just stared at me for a while before he even read what I wrote. Sometimes I don’t think he can believe that he ended up with me forever. Pray for him. Gino is a co-worker that will often come and sit (and sit and sit) in the two chairs my husband has in front of his desk in his office. 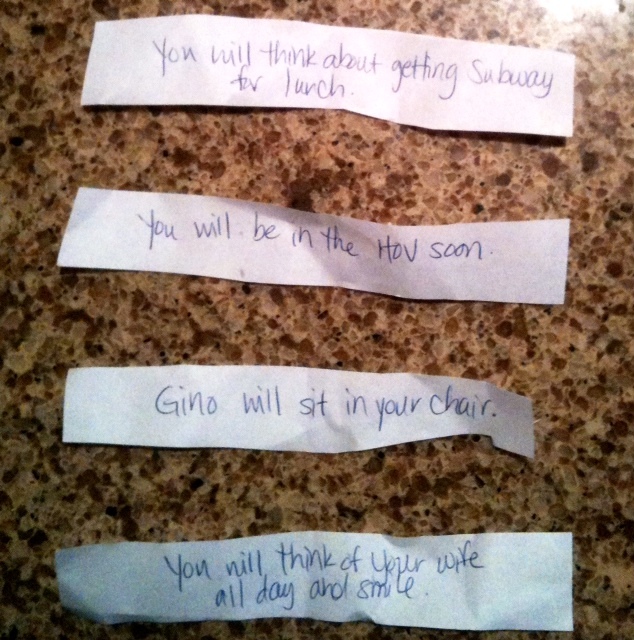 Though he liked the Gino fortune, I am convinced his favorite was the last one. That’s what I tell myself anyway. 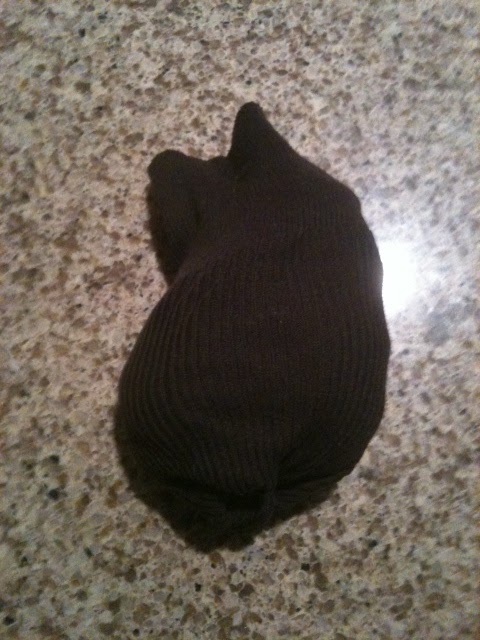 So, now the important question…how do you pair up your socks when doing laundry? This is important stuff! This will forever change our relationship!! I will either look at you with fondness or wonder how I can ever change your mind.